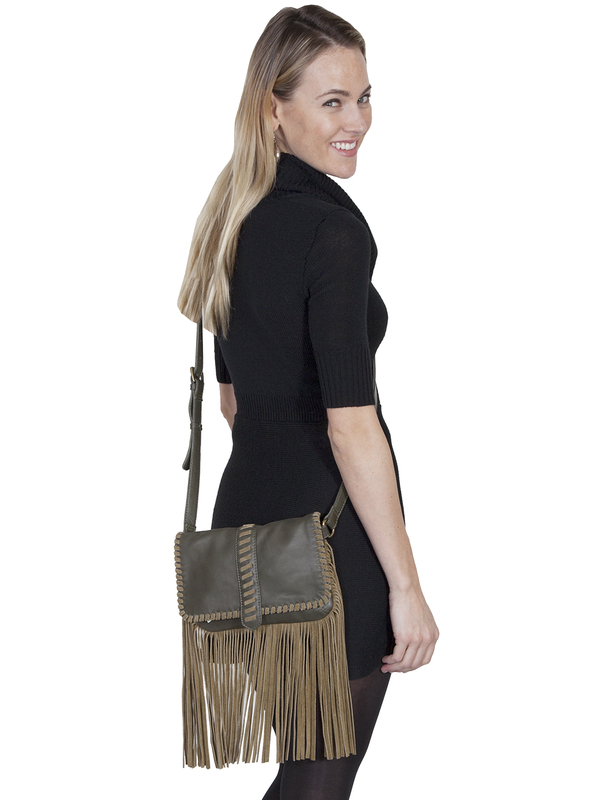 Leather and suede trim handbag. This handbag features a flap closure with whip stitch trim and center pull tab with magnetic snap closure. Suede fringe runs down the sides and along the bottom of the bag. Interior has one open pocket and a zip pocket.